Our website is designed to provide a wealth of information about vision and eye health. Explore our site to learn about the professional eye care services we offer to our current and future patients. Regular eye examinations are an important part of maintaining your best possible vision and eye health. Call or email us for an appointment today. We’re here to meet your eye care needs. In everything we do, we aim to provide our friends, neighbors, and the surrounding community with quality eye care, in a setting that is friendly, welcoming, and efficient. 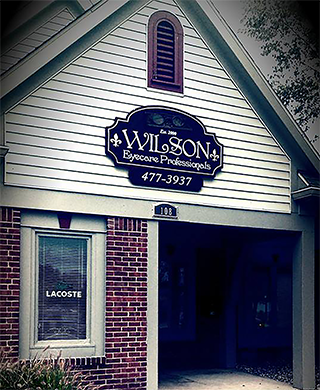 Without our patients there would be no Wilson Eyecare, so from the bottom of our hearts, we thank you!